Paul Pogba has his heart set on a summer switch to Real Madrid. 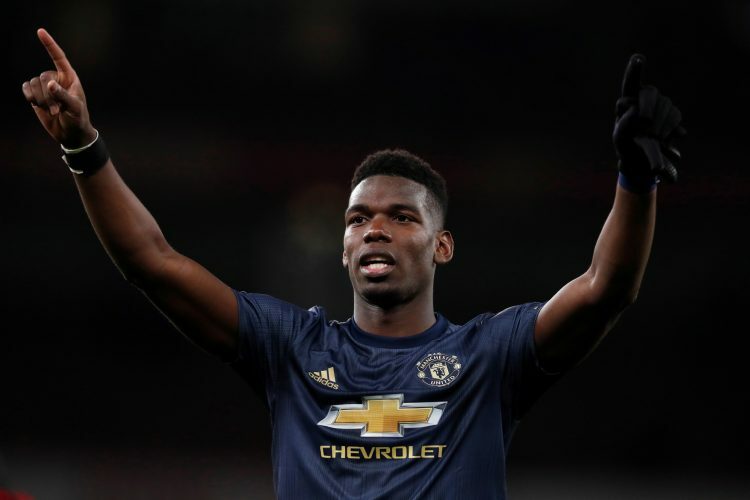 Pogba has been in stunning form of late, having gone through a complete revival under Ole Gunnar Solskjaer. The midfielder has already bagged nine goals and seven assists under the interim boss, and is supposedly happy with life in Manchester. However, Marca have now provided a contrary update, claiming that the France international is now adamant on seeking a summer departure from Old Trafford. The report further states that the 26-year-old is ‘serious’ about pushing for a sensational switch to Real Madrid, and his agent Mino Raiola has already begun working on taking the player to his next destination. WATCH: 7 Players United Signed To Replace Ronaldo: Where Are They Now? While he did insist that he is currently happy to stay put at Manchester United, the rumour-mills already have the Real Madrid links in full circulation. The Spanish outlet adds that Los Blancos’ hierarchy has handed Zinedine Zidane a £300 million transfer kitty to spend in the summer, and the French tactician is likely to splash a large chunk of it on Pogba. The 2018 World Cup winner shall be brought in as the long-term successor of Luka Modric. And although Manchester United will undoubtedly try to hold onto their talisman, Pogba himself is expected to have the final say in the matter.